Reliability and cost were identified as homeownersÃ¢â¬â¢ most important factors when choosing a residential HVAC system, according to a 2015 Residential Air Conditioning Consumer Research Summary Report. WHAT MATTERS MOST: Reliability and cost were identified as homeowners’ most important factors when choosing a residential HVAC system, according to a 2015 Residential Air Conditioning Consumer Research Summary Report. Photo courtesy of Emerson Climate Technologies Inc. 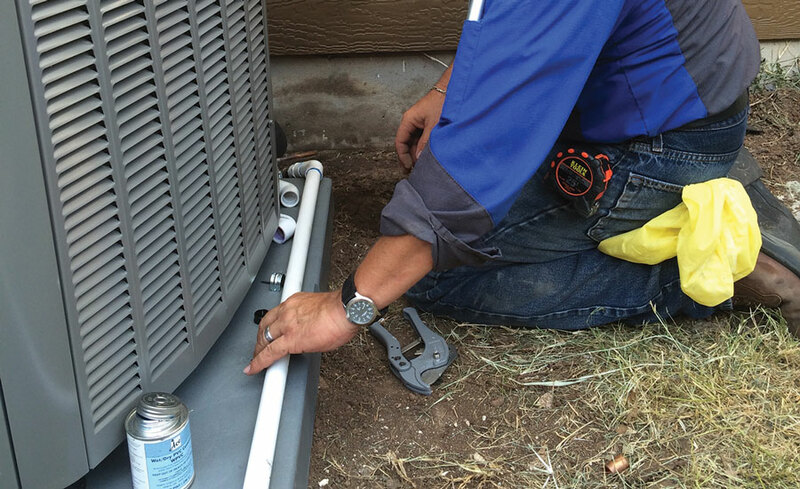 Regardless of the unit they purchase, customers at Trusted Heating and Cooling LLC in Austin, Texas, learn that a quality installation is the most important feature of any HVAC system. QUALITY INSTALL: Regardless of the unit they purchase, customers at Trusted Heating and Cooling LLC in Austin, Texas, learn that a quality installation is the most important feature of any HVAC system. NO THANKS: The Top 10 reasons homeowners give for not purchasing a new HVAC system. Photo Courtesy of Emerson Climate Technologies Inc.
What makes a consumer want to buy a product? And, more importantly, what makes a consumer want to purchase that product from you? These questions have plagued HVAC contractors since time immemorial. Through a comprehensive survey, Emerson Climate Technologies Inc. believes it has pinned down some answers. The survey asked 1,500 U.S. homeowners about the most important features they consider when purchasing air conditioning and heating systems, as well as what typifies a high degree of satisfaction with their HVAC contractors. They also asked about factors that might prevent someone from buying a new HVAC system if they own an older, more problem-prone system. When it comes to the features homeowners value most in their new HVAC systems, it’s no surprise that reliability tops the list. “Contractors should know that most of their customers just want their systems to operate for a long time without needing repair or replacement, and they may want to adjust their selling approaches to emphasize this,” said Landwehr. Even when contractors take the time to determine the priorities of homeowners and then educate them about all their options, there are still those who will choose to keep repairing their old, inefficient system rather than replace it with a new one. Most contractors will be familiar with the primary reasons homeowners do not buy a new system, which include satisfaction with their existing system or the high cost of a purchasing new systems, according to the survey.